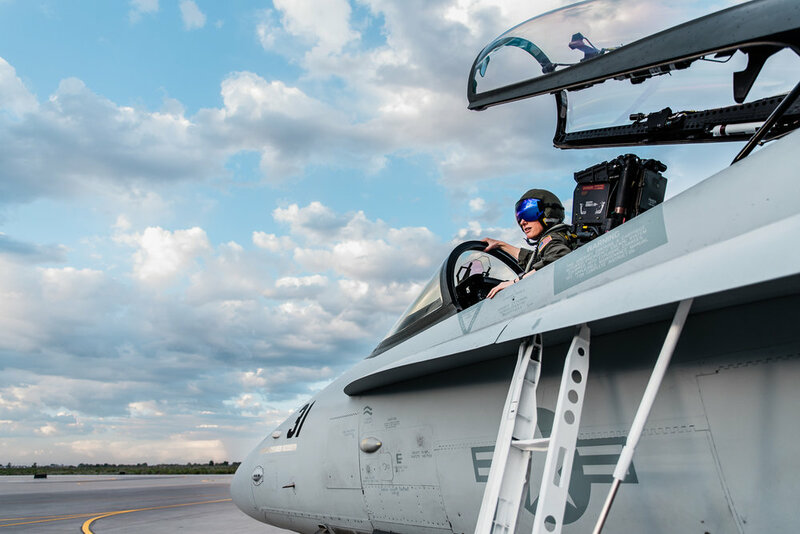 As I have mentioned before, my "little" brother is a Naval Aviator and flies F-18 Super Hornets. I'm lucky if I don't drive over a curb while eating Chick-fil-a waffle fries. Since I moved out west, closer to my brother & his family, I have had the opportunity to meet some of his fellow squadron buddies. Always looking for an opportunity to photograph something different, I thought it would be so dang cool to photograph a female pilot all "Annie Leibovitz style". (I can dream about being Annie). 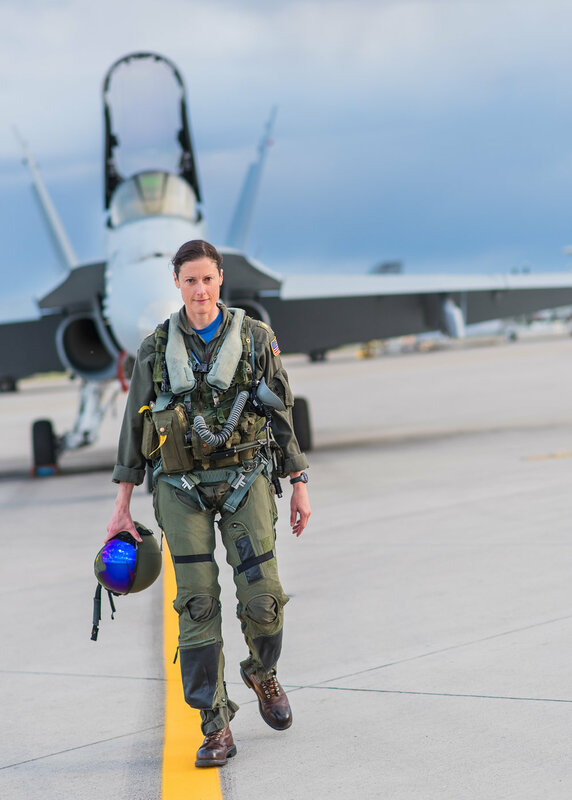 Dragon initially wanted to be an astronaut, which naturally led her down the path of aviation. 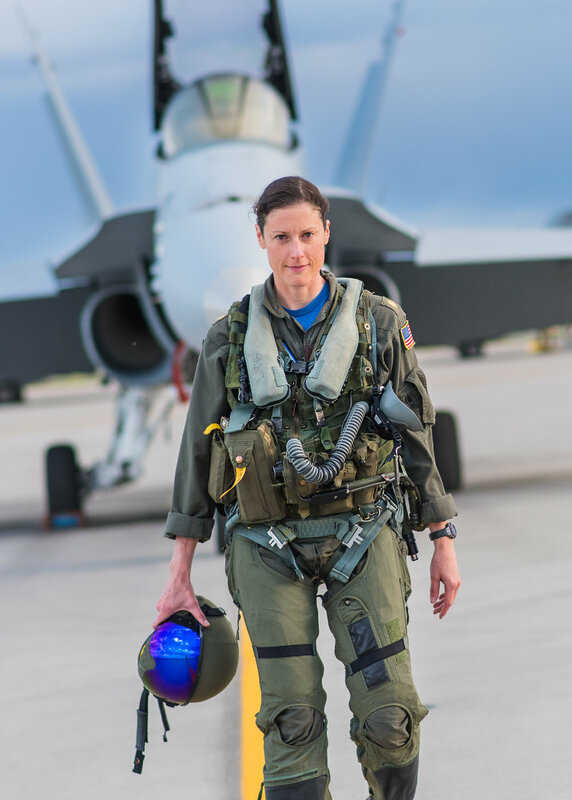 When I inquired about being a female in a very male-dominated career, she responded along the lines that most of the fellow pilots were supportive and you just can't be sensitive. It's reassuring that we ARE moving forward in a positive way. She even inspired her younger sister down the aviation path! Thank you Dragon for letting me photograph you in action. And thank you Mother Nature for the awesome sky! Check out the TOPGUN Families Mini Session!